It is said to be the longest lunar eclipse our part of the world would see in the 21st century and so I could not ignore it. I had waited for it since I read the news earlier July. 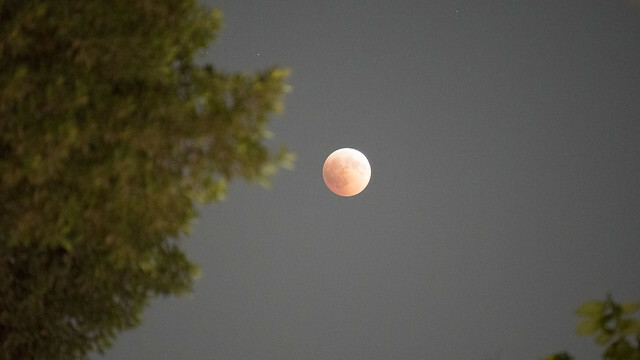 When the eclipse started, I could not see it from our house’s balcony because it was hiding behind a big tree “I am praying that tree is left alone and to be completely ignored by the municipality workers” and so I had to go to the street to see that beautiful transformation of the moon. Again I made a scene in the street as I stood with tripod paying gazing at the star. I listened to very expected comments especially from teenage boys who were wondering what I was photographing. Only a nice old couple praised my action for photographing the moon. 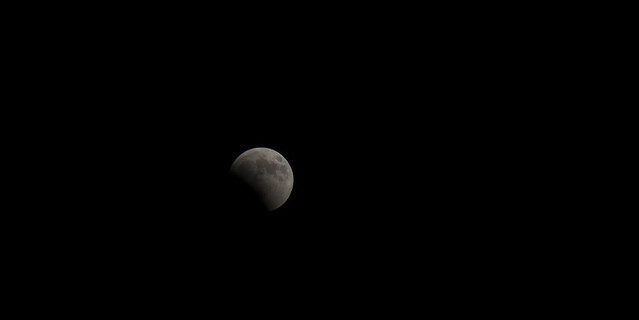 “Bravo,” The old man and his wife who kept following the moon eclipse told me when they saw me with my camera and tripod. 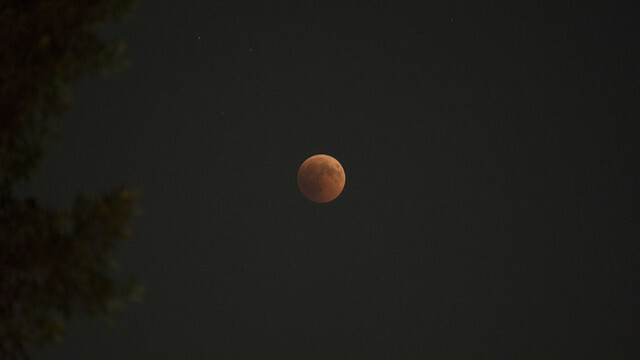 It was the beginning of that beautiful sky show and I returned back to my apartment to see the moon from the balcony as the moon once again and I could catch while it transferred into a red bloody moon for real. An amazing scene you can see with your naked eye despite all the city light and noise. 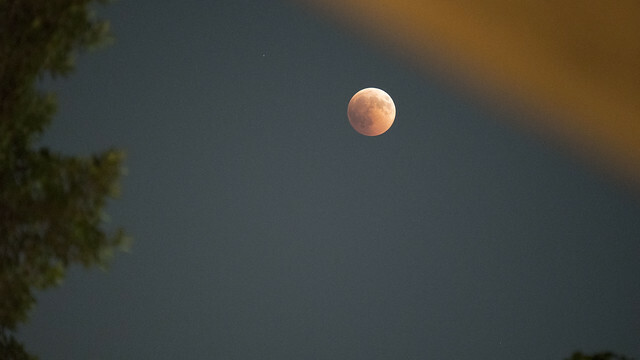 What is even that we were able to see Mars with the naked eyes as a red shiny dot near the moon in a position that repeats every 25,000 years according to Wikipedia !!!!! Most people did not look up the sky in the street but few did like that old man and his wife. God bless them where they are now. 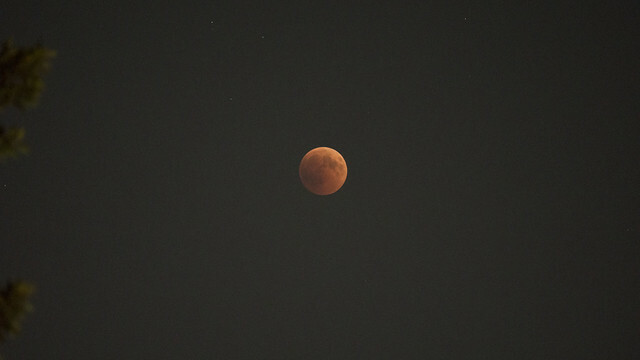 Many Muslims prayed the Lunar eclipse prayer. Aside from science, we believe lunar and solar eclipses are work of God showing us his mighty power. According to Islamic beliefs, Muslims should not believe in any superstition revolving about the eclipse but social media and mainstream media say otherwise. Both social and mainstream media were full of crap and nonsense like we would have earthquakes and our emotions would be on a rollercoaster. My favorite myth: Do not look to the moon too much in the eclipse because you may get depressed Dearie, e, I live in Egypt in the Middle East during the Era of US president Donald Trump. I lived 30 years under Mubarak then reached the moon in 2011 then returned back to Mubarak era san Mubarak since 2013. 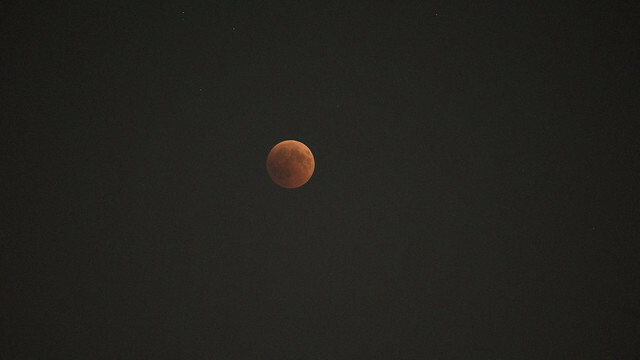 I do not need a lunar eclipse to be depressed. I am already depressed. That eclipse that cheered me up actually after photographing and filming the sad story of Building No.54 in 26th July street and how the oldest working Clock shop may get demolished within hours not within days. DONE IT AGAIN....Respectful ZEINOBIA? !...AS DID before, almost 18 months ago..when you brought the CLOSE/LARGE moon to knock our doors? ((Metaphorically Speaking)) OR ''YAM'MA AL AMAR AL BAB''? !...Nice ONE-S TOO/''MILLION BRAVOS'',...I would like to shake the hands of those couple who knew what you WERE after...because they've seen-- LIFE? !...the TEEN scatterbrains STILL remain to see it ...if lucky?!... & BOYS will always be BOYS/....''Al Qafila tasseer....wa wa..wa?? YOU KNOW THE REST! !...i couldn't witness it from LONDON as the skies were Cloudy..After weeks of HEATH..that night..RAINS? !...Anyhow why worry? we all got our 3rd EYE in EGYPT called ZEINOBIA's observatory? ?...Well sadly Mr.FRANK SINATRA wasn't with us or else HE changed His'' THE MOON WAS..YELLOW??'' lyrics..TO RED!?! Maybe!! Grey/Yellow/Orange or RED...THE MOON WILL ALWAYS BE POETS'/ROMANTICS' inspiration....NEVER GIVE UP YOUR AMBITION-S TO ADD ''THE NEW'' & enlighten Egyptian Chronicles followers and DAZZLE US with your AGFA-s?? or as Late MrMELHEM BARAKAT Lebanese crooner sang: ''ALA BABI WAKEF AMAREIN''=I GOT 2 MOONS IN MY SIGHT?! ( O ) O ( O ) O ( O ) O ( O ) ************Mr.NostalgiA/iS-HAK sahaG Barsoumian/London Sunday 29 JULY 2018..G.B with best wishes from England to all WHO ADMIRE THE MOON..whatever its colour OR ORIGIN!! Great pictures and effort, thank you. The Comments in this blog with exclusion of the blog's owner does not represent the views of the blog's owner. Voting Girl 2019 : Constitutional amendments referendum edition "Updated"